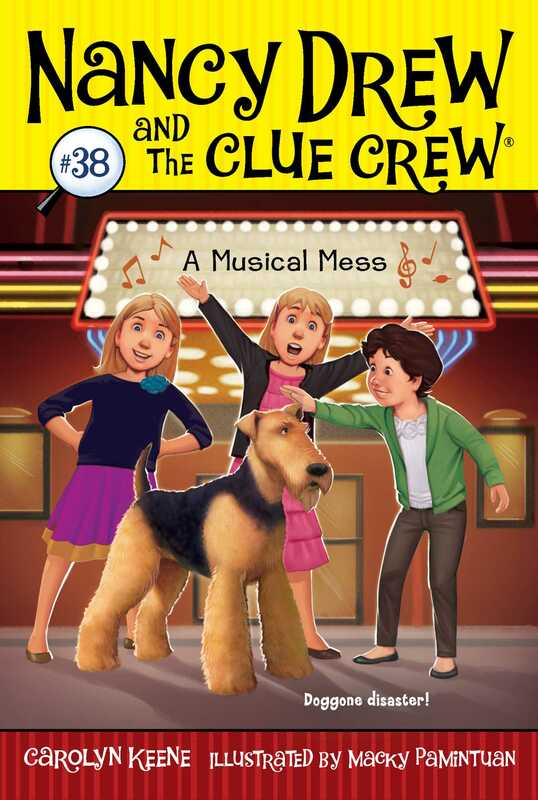 The show must go on—and it’s up to Nancy Drew and the Clue Crew to track down a missing performer in this musical mystery! It’s opening day of the first Broadway musical to hit River Heights, and Nancy, Bess, and George are thrilled that they get to sit in the front row! The famed production of Francie is the talk of the town, especially because it stars a very talented pooch named Sammy! But on the day of the show it’s clear that the Sammy onstage is an imposter—who ends up ruining the performance. It’s up to the Clue Crew to find the real doggy star before the show leaves town. But with a long list of suspects and a practical jokester wreaking havoc around River Heights, this is an especially tough case to crack. Can the Clue Crew find the missing star before the curtain comes down for good? Or will this be a real musical mess?